Do you have trouble with big numbers in Japanese? Even quite advanced speakers can often have difficulty due to the different way of counting, with the unit of 'ichiman' = 10,000. You can practice with these dictation activities (thanks to Quizlet!) at several different levels of difficulty. 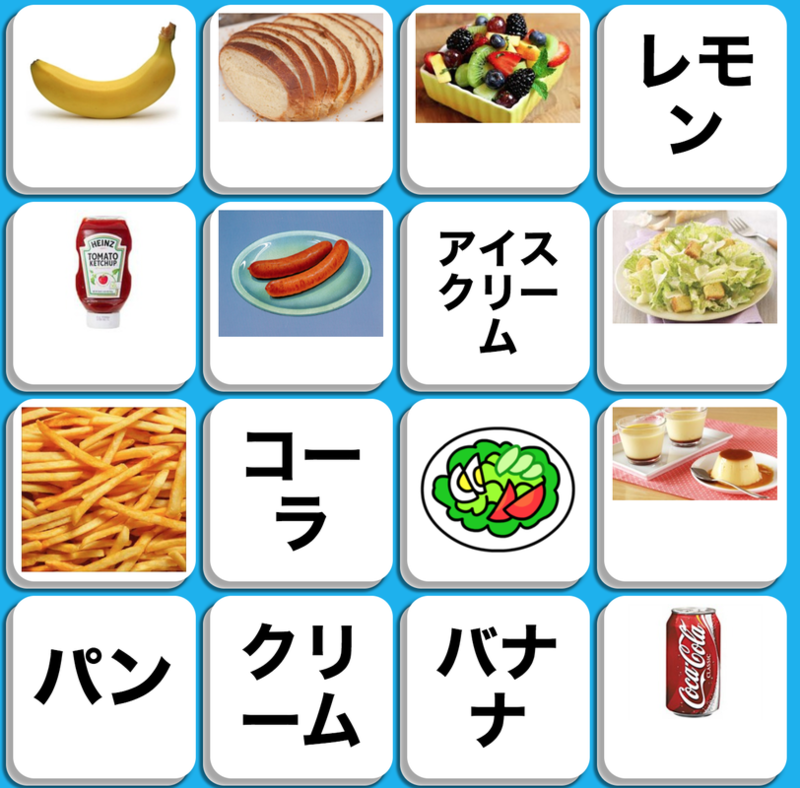 Online Game to Practice Katakana Food Words! 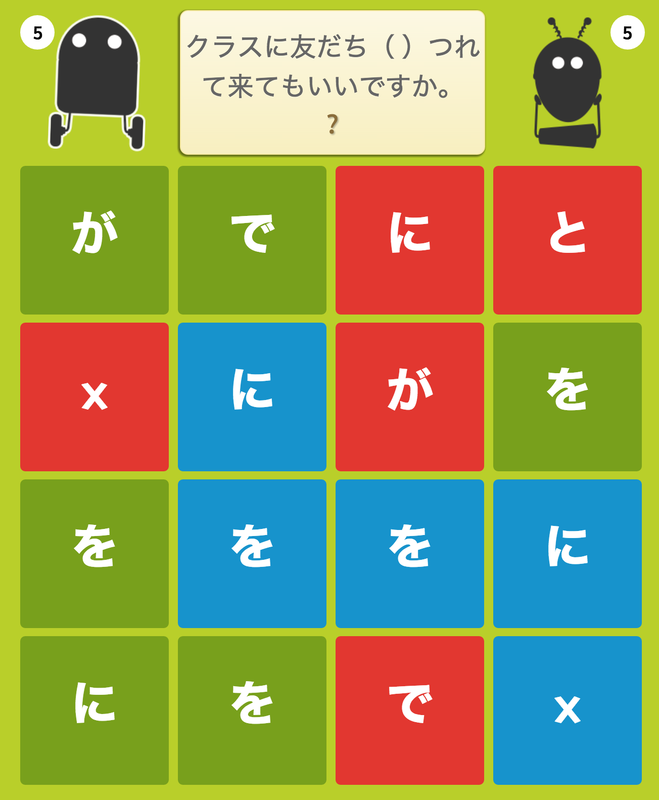 Try out this HTML5 food game with katakana words!! Quizlet (www.quizlet.com ) is a very user-friendly and reliable flashcard website that also has free iPhone and Android apps for students. It has long been a popular American website for English speakers, but it has recently added a multilingual interface and instructions so it is now even easier for people from any country to use. It has millions of sets of flashcards on any subject, including many Japanese lists for topics such as the JLPT and popular textbooks like ‘Genki’ and ‘Minna no Nihongo’. The flashcard sets can include pictures and automatically provide high-quality text-to-speech audio. You can use the existing lists as they are, or copy and edit them. You can also make your own, by typing or copy-pasting spreadsheet data. 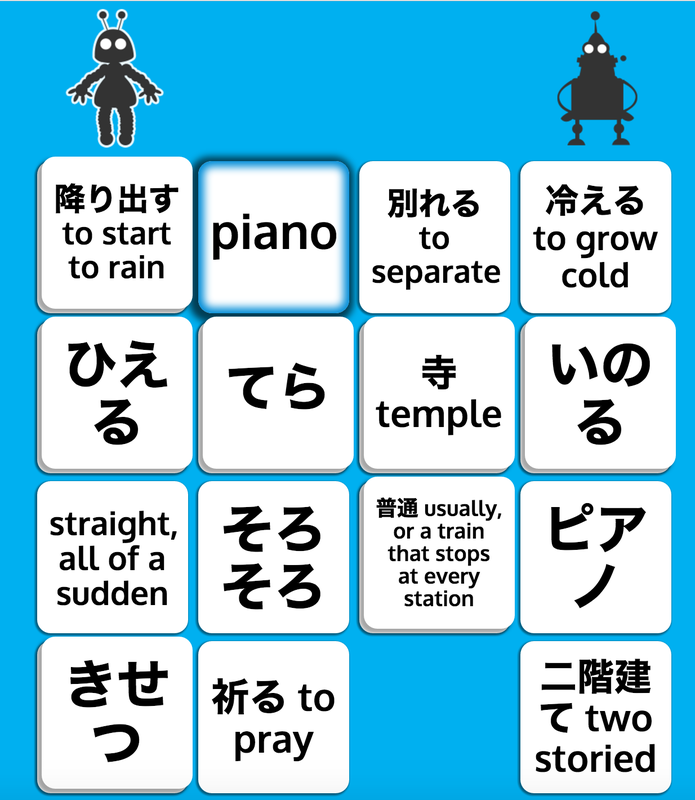 Flashcards are all in 2-sided format, so the kanji would usually go on one side and both the meaning and reading (and optional picture) on the other side. Flashcards - you can choose to show all information at once, or show one side and then the other. For focused practice of a subset of difficult items, you can mark them with a yellow star, and these items can then be studied separately. Learn - You type the answer. 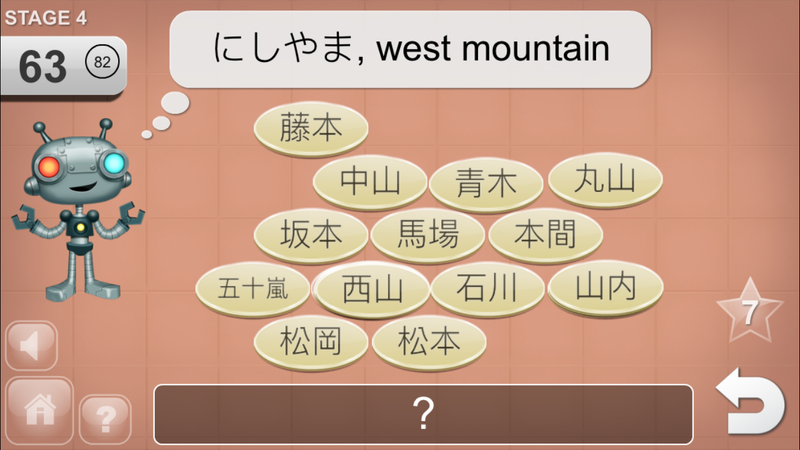 In ‘Settings’, you can choose whether the prompt and answer are the kanji, English or hiragana reading. Match - both questions and answers for some of the flashcards are shown, and the user has to match them. Live - If a teacher has set up a class, they can hold a quiz game in their class (minimum 6 players). On flashcard sets, you can see the percentage of times items are gotten correct or mistaken by the class as a whole, making it easier to review efficiently. You can also see which students have completed the different types of activity for a given flashcard set, making it possible to set Quizlet study as a homework activity. N.B. Although you can see a student’s results for an activity, you cannot see which mode was used (e.g. whether the user had to answer with English, kanji or hiragana). 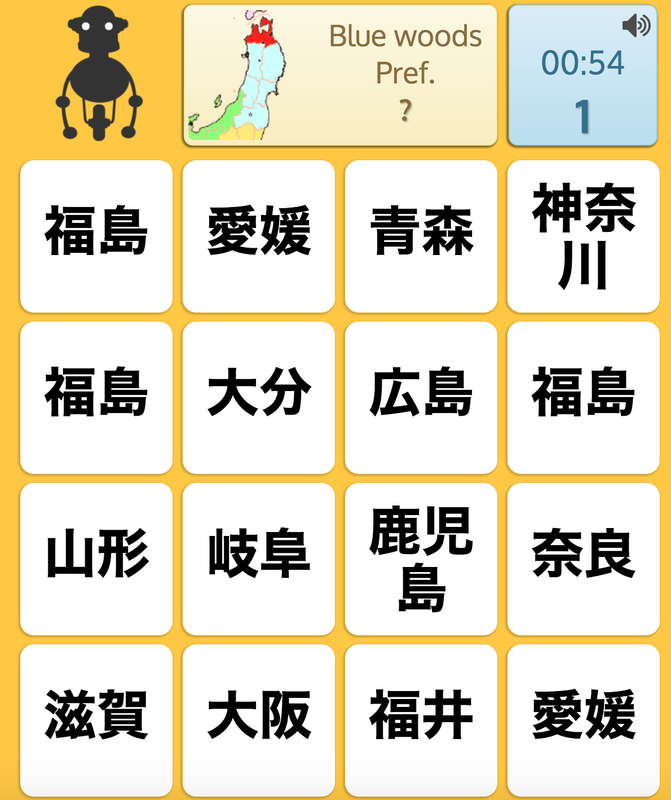 Quizlet flashcard sets can also be imported into the free PhraseBot app (www.phrasebotapp.com) , which is more game-like and offers progress tracking and different kinds of modes not provided by Quizlet, such as breaking up words into individual kanji/kana. Feel free to get in touch if you have any questions about how to use Quizlet or the Kanji Games websites or apps! The free PhraseBot app (www.phrasebotapp.com) offers different kinds of practice and progress tracking with sets of flashcards imported from the Quizlet website (www.quizlet.com). There are already many sets of Japanese flashcards for JLPT and various textbooks on Quizlet - and you can also easily make your own by inputting your data or uploading a spreadsheet. 1) From the main screen, go to the Quizlet Sets screen and tap the magnifying glass button to go to the 'Quizlet Search' screen. 2) Type a keyword, username (try 'kanjigames') or Quizlet set ID number into the search field. 4) You can now select the saved list on the 'My Lists' page and press 'Play' (make sure to select 'single letter mode' in 'Settings' if you want to see just one character per tile). ​​It has hundreds of articles with mouse-over word translations and full text translations available. Some articles also have good quality audio as well. Highly recommended for JLPT N5/N4 learners! ﻿Love Knowledge? Blue Woods? Try this prefecture quiz! I've made some JLPT vocabulary sets on Quizlet which can be used in the HTML5 games on this site and the PhraseBot app. Try out the CrossBots game shown below right now - it's HTML5 so you can play from your phone, no app needed! To play, you take turns against the other robot, matching words from the 2-layered grid to clear a vertical path before he clears a horizontal path. *The data is from the http://www.tanos.co.uk/jlpt site which has long provided many excellent resources for studying Japanese, and especially for the JLPT in the absence of official lists.